This is the bike I will be touring on … Big, fast, Italian, totally electronic / computerized … Just perfect for the average mechanic in the Bolivian high plains if anything goes wrong – hehehehehe (You have to laugh don’t you). 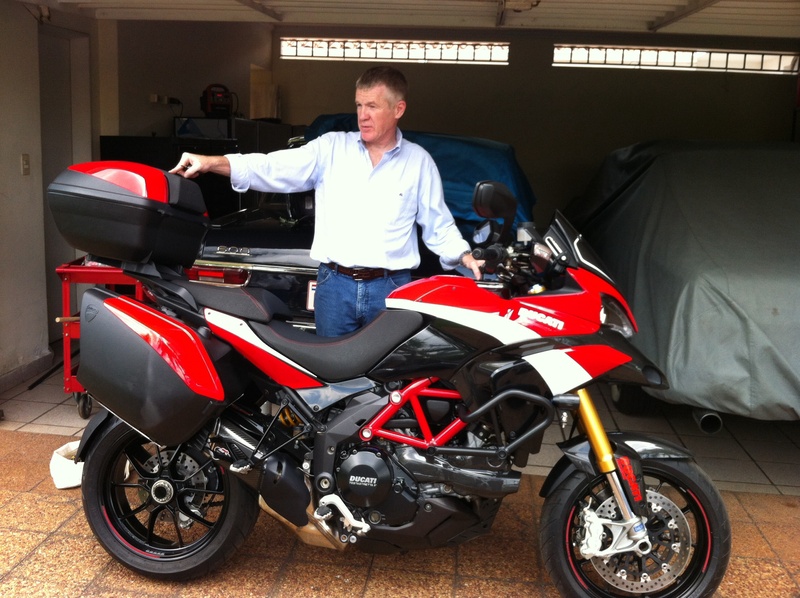 Image | This entry was posted in Motorcycling and tagged Ducati, motorcycle touring, Multistrada. Bookmark the permalink.